This post signifies the importance of focused writing and provides the details of some best distraction-free text editors for writers. Writing is my preferred hobby as it keeps my brain fresh and active. I want to get decent writing and while writing the blog posts, I stay away from social networks, phone ringing/messages and TV on in the background. Writing is not easy, but good! It needs focus and discipline! Also, it should not be rushed! As we use our computer for writing, we do have a lot of constant distractions like cluttered interface, blinking icons, notifications, the internet etc. which would make us distract from the texting task. But the technology has made the writing work easier than ever by providing the distraction-free text editors that can prove to be best tools for writing process. Are you a writer/blogger/student? If you’re a person who makes your living by writing, I have to admit that you’re doing a great job. Because I know that you’re facing the constant electronic distractions on your computer like shortcuts, calendar, file icons etc. The good news is that there are writing tools available for you to remove these distractions. The following details would help you to understand the importance of using a best free text editor for your writing task. Working environment plays a vital role in writer’s productivity. Writing is not a single act! I’d say that it is a process which entail start, draft, revise, format and so on. I do agree that there are modern word processors are existing with useful features which would let you format the text in various ways. But they do use intricate toolbars with many icons. Thus, it is more likely to get divert from writing with the recent word processors. To work with peace and boost your creativity, you may opt a distraction-free text editor with the clean workspace. What is a Distraction-free Text Editor? Distraction-free text editors do not contain any menus and toolbar. It is specifically designed for writers with the basic formatting support which would let them write in a pleasant environment. As it has a simple interface with the blinking cursor, the writers can churn out their creative juices from their brain to the screen without any distraction. Below are 5 best text editors if you’re looking for a distraction-free environment to carry out your writing work. Write! is a modern generation distraction-free text editor for writers and bloggers that aims to boost their productivity and make the work with text more efficient. Though Write! is on its stage of beta testing, it does not yield to other editors in its functionality and feature richness. Along with Write!’s minimalist design, you will be able to take the advantage of its innovative spell-checker, markdown support, effective visual navigator, and many other interesting and useful features. Ulysses III is a tool made for writers, journalists, students and all kind of people who write. Unlike the previous application, it is compatible only with Mac and is not planning to broaden its horizons to other operating systems. Ulysses has a dark mode which can be helpful when writing in darkness hours, but not as useful in the daylight. As for the features, it also supports markdown and markup to quickly format the text. With the application’s files library, all you documents can be neatly organized and easily accessed. OmmWriter is a cross-platform text writer that runs on Mac, Windows, and iPad. The first thing that hit in the eye about this app is that you can change the background image of your working area, and also the music that accompanies you through the working process. OmmWriter is not as feature-rich as Write! and Ulysses III, among all the features it has only the markdown support. The developers of the application let you pay as much as you want to be based on what you have got out of it starting with $4.11 which is the least price. FocusWriter is a simple to use distraction-free writing environment where the user-interface is hidden at the edges of the screen. It has the full-screen option with clean writing space. There is option to activate typewriter sound effect, autosave, portable mode, spell-checking and live statistics features. Moreover, this excellent writing software has fully customizable themes and you could translate your work into over 20 languages. iAWriter is a distraction-free word processor for Mac, iPad and iPhone that is to some extent similar to Write! but with fewer editing instruments. The great advantage of this application is the ability to use iCloud and Dropbox to store your files and synchronize them with your devices. Good writing needs concentration! So, if you do a lot of writing, it is good to use a distraction-free writing environment. As I specified early, a good distraction-free text editor will isolate you from computer notifications & other applications and hence you may focus on your writing. Be sure to use a best writing tool with full-screen mode for productive writing. Before, I had used Zenwriter as it is a stylish productivity software with typewriter sound effect. Recently, I’ve started to use Write! which helps me to cut distractions and keep myself focused on my writing. So, I suggest you to use a good distraction-free editor to hide all your digital disruptions and hope that it will capture your heart. Let me know what do you think of these distraction-free text editors? Do you want to write without deviation? Are you using any cool text editor to tackle the issue of distraction head-on? If so, share your pleasing experiences through your comment. 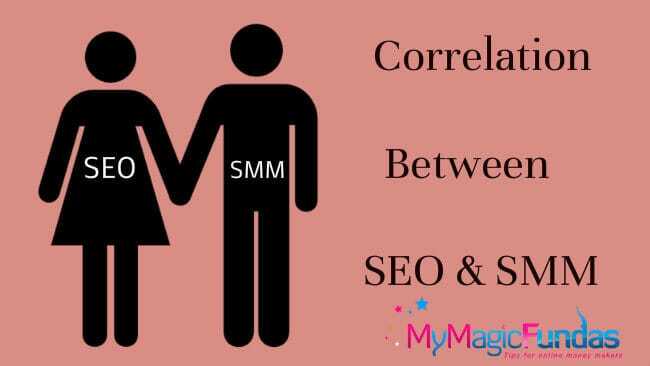 How Does SEO & Social Media Correlate? I was not aware about such type of text editors. I like the way you defend writing in this article by mentioning it not an easy task. Most of people think that it’s easy to write about anything they want but they don’t know how much efforts are required? For writing perfectly, writers and bloggers need to concentrate at their aim. I am glad that there are some tools available which can help bloggers in writing. Yes, as I told, writing needs focus and we should not get distracted in anyway while writing the blog post. I would say that if we’re familiar with the topic, writing is somewhat easy, otherwise it’s a big thing! What do say Ravi? Thanks for reading and commenting, stay tuned! Great article! I don’t use them since I work better with some distraction (from social media). But I tried some before and they are great. Nice lists you have there and love the reviews too! Good to know that you’ve tried some distraction-free writing tools and yes, social media is the biggest distraction. How do you work with that? I would say that you’ve immense skill to carry out the writing task in a distract medium. This is the first time I am hearing about these text editors. But I will surely give them a try. Cheers that you’ve found the details of some valuable text editors through my post. Thanks for reading and commenting, keep visiting! You did your research thoroughly-eh? Nice. Please modify your feed to show only the summary of your blog post and not the full content to make your subscribers to visit your blog to read the content fully and thus improving your visitor count. Thanks for your great suggestion Sir. Currently, I’m working on building email-list with active subscribers and have decided to switch over to a premium service to publish the newsletters. Thank you so much for the notification. This is indeed a new thing to me too as few of them said already. Thank you very much for sharing this very useful information here. Of course many may follow suit. Glad to know that you’re gonna try writing in a distraction-free environment. Hope, you’ll like it! Once you started to use any of the text editor, don’t forget to share your writing experiences here. If you’re a serious writer, I’d suggest you to use any of these text editor to progress your productivity. If you wanna become a professional writer, it’s good to focus your writing on a distraction-free medium. These tools would help you to so. As we are bloggers, we need to present quality blog posts to get loyal readers and love from search engines. 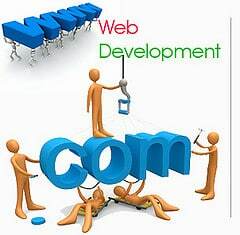 Offering variety of option to solve a problem is your mark of distinction. It also shows your spirit to serve every kind of audience. Distraction especially in all types of mental pursuits is the most detested hurdle but being social animal and while living in a social environment it is not possible to completely wipe out it. But we can manage it to the lowest level by fully protecting our activity schedule with both manual and digital tools. We can overcome physical distraction by getting away from them and doing our writing work at a time and place where it is least likely to be affected by it. But for digital distraction we can’t do many things manually and have to rely on a digital safety that keep us safe from it. For this purpose all the five option to write in a distraction-free environment is the best solution for all. Thanks for sharing this wonderful and solution-based post. Yes, well-said! It is not possible to wipe out our distraction wholly but we can bring it to the minimum level with the help of these cool text editors. I’ve spent some quality time to do research about the best text editors but still there are countless text writers available for the writers to boost their productivity. Due to the limitation of time, I’ve presented the post with the details of 5 writing tools for my beloved readers. WordPress also provide distraction free writing mode and i am little bit disappointed not to see that in your list. A Good list for writers. Keep posting such wonderful ideas. BTW your commentluv plugins is right now not working try to fix this issue. Thanks for your comment! Yes, I do agree with your that the WordPress gives distraction-free environment to write but it is known by all the WordPress users. I’ve just consolidated some text editors with which the writers unaware of. I’ve checked my Commentluv plugin and it is working fine for me. Will check with my friends, thanks for letting me to know about this. Nice list. You haven’t mentioned the Windows Live Writer tool in the above list. This one also a good one to use it as a Online Text Editor. I already using it for my blog. Welcome to my blog and thanks for adding some value to my post. Good to know that you’re using a tool from Windows Live, I’m unaware of it. I’ll check its details. Thanks for coming, keep showing your presence to share your experiences. I still have not used any text editor but I have heard about this. It is good to use a reliable text-editor to improve your productivity in writing Minakshi, thanks for reading my post. This is unique post on text editors. First time I came across such an article. I have already used FocusWriter but not used other editors. I am sure that these text editors will help a lot. But yes friction less & easy for readers I use Hemingway App (hemingwayapp.com) costs around $7 and available for both windows & mac. It has an online version too which is free. Most of the people use Word to write blog posts but I feel that it has more distraction features which would take our focus from writing. I’m using Hemingwayapp to improve my English, but unaware that it has writing tool. Thanks for sharing these useful details here, stay tuned. I was not aware with these Text editors. We daily face lots of distractions and writing articles must be distraction free to explore our thoughts and ideas. After reading your awesome article, I must say, today I got the thing that I could not get in last three years. I am a Kingsoft Office user but now I am going to try out Write!. Let’s see What it can do better for me. Good to know that you’re gonna try with Write! Yes, it is an excellent tool and am using it right now to write my articles. It is truly a distraction-free medium which allows me to write in a better way. Thanks for reading the post and leaving your opinion Bilal, stay tuned! Glad my post had helped you in someway, thanks for reading. Keep coming Atulit! Nice Apps. I knowed only about OmmWriter and I use litera-editor.pp.ua as a web based alternative. These editors are great mam but I use word because I was not aware of these great applications do exists. Thank you very much for sharing this very Nice information . Thanks for getting time to check my old post Saurabh, glad you liked it. Keep coming! Thanks Nirmala Definitely no one would want distraction while writing content, I would definitely give a touch to these applications. Indeed, Great article. I don’t use them. But I tried some before and they are great. Nice lists you have there .Its really helpful. Nirmala informative article, distraction free txt editors is need for professional blogging. Even latest wordpress version has this builtin feature. My Current text Editor Interface is so boring that I Don’t want to use it anymore. This is the first time I am hearing about these text editors. I never used these editors. Let me try. Honestly i never knew about any of these Editorsbefore Reading this post. Gona Give Them try for sure. Thanks for the share. I was facing the same problem, and I must say distraction-free text editors save a lot of productive time. I use MS-Word, and I like it very much (though I use Grammarly to proofread my text). I’ll be giving try to these apps too. This article is almost 2.5 years old still very useful.